Since April 2011 Dentists both private and NHS registered must register with the Care Quality Commission also known as, CQC. Dental Practitioners including NHS and private practices are answerable to CQC in how they operate and maintain standards. The CQC expects Dental practitioners to demonstrate good practice in meeting the essential standards of quality and safety and in a particular, standards in dentist decontamination and water hygiene control maintenance. The CQC registration involves many different areas but in general each Dental Practice must provide evidence that they are complying with the various HTM and legislative requirements. CQC guidelines in relation to Legionella control is set to facilitate compliance to the HSE’s guidance document ACOP L8. Consequently, all dental practices require a Legionella Risk Assessment. They also require a written control scheme and monitoring schedule. Whist statistically, the overall risk from legionella in Dental surgeries and from Dental equipment is low. There is still a perceived and possible risk which is required to be assessed. Furthermore, it is also important to highlight that like all NHS premises, the type of people using the facilities may well have an increased susceptibility to Legionella infection. However, the requirement for Dentists to undertake a legionella risk assessment is not at all new. The requirement has been in place since the HSE’s ACOP L8 was first published in 2001, and since the HTM guidance document 04-01 was published back in 2006. The recent HTM 01-05 is only the most recent document to re-emphasise that it is a legal requirement for all dentists in the UK to have a legionella risk assessment. The Risk assessment must cover both the domestic hot and cold water services within the practice as well as the dental unit water lines and associated water containing equipment. Our Risk Assessments for Dental Practitioners is designed to achieve compliance to the relevant Department of Health’s Technical Memorandums. • Health Technical Memorandum HTM 04-01 – The Control of Legionella, Hygiene, “Safe” hot water, cold water and drinking water systems. The main issue with dental equipment is related to biofilms that can rapidly form on dental unit waterlines. The majority of the organisms in the biofilm are harmless environmental species, however some dental units may harbour opportunistic respiratory pathogens such as legionella. Our risk assessments analyse the hazards from biofilm organisms contaminating the dental unit waterlines and the respiratory health risk to both the dental team and patients. 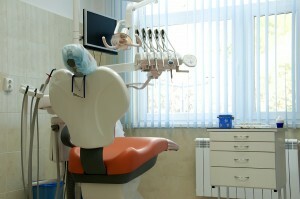 The health risk from the respiratory pathogens including Legionella has been confirmed in dental practices over the years and to satisfy water regulations and comply with health and safety legislation dentists should institute infection-control measures to maintain the dental unit water at the standard of less than 200 colony-forming units per ml of aerobic bacteria. Due to the combination of negative publicity, and an increased scientific knowledge of dental unit waterlines’ (DUWL) and biofilm formation risk, the contamination of dental unit waterlines has become a prominent infection-control issue. It is known that Legionella and other opportunistic bacteria can be amplified in the biofilm to reach infection concentrations with the potential for inhalation or direct contamination of surgical wounds for example. The British Dental Association recommends flushing independent bottled water systems, installing anti-retraction valves on hand pieces and use of sterile water wherever possible. However, it should also be highlighted that the requirement to conduct a Legionella risk assessment to cover the domestic hot and cold water services in dental practices has been around for a long time under HTM 04-01. The new HTM 01-05 only serve to increase the awareness of the requirement and helps to focus the assessors and practitioners minds on the risks from the equipment and particularly the dental unit water lines. However, whilst the dental unit water lines are the most obvious routes of exposure for the patient and practitioner, it is also important to confirm that the risk assessment is required to also cover the standard domestic hot and cold facilities within the practice. This means the domestic hot and cold water taps in tea points, the surgery, decontamination rooms and reception areas. If there are any showers, storage tanks and calorifiers in the practice these too will require particular management tasks including cleaning and disinfection on a quarterly basis. If you are Dental practitioner and located in London contact us now to book a legionella risk assessment for your surgery. 1) Will we require Legionella training? The Responsible Persons will normally require legionella awareness training to support the understanding of the risk and specific control measures to be applied. 2) Will we be required to keep records? – Yes. Routine temperature checks and clean and disinfection records should be established. 3) What checks will be needed? The necessary checks will be recommended in the risk assessment, which you need to do at the start of the legionella management programme. 4) Do I need to take samples – The HTM confirms a sample should be collected annually from the water heater drain. Whilst legionella testing is not a legal requirement, periodic monitoring will serve to demonstrate the control measures in place are working effectively. Need legionella support at a reasonable cost? We are accustomed to serving both small and large dental practitioners so contact us today for a proposal. Once we have confirmed the price to conduct the initial survey, our Operations Manager will be in contact with you to collect credit card payment over the phone. If you are unable to pay for your risk assessment by card over the phone, we can still conduct the survey however, the report will be held until full payment is received.